every wednesday, i have a standing walking date with my friend monica. the whole time we walk we talk about everything that is going on in our lives but, inevitably we end up on the subject of food. well, the last couple of weeks she told me about this salad she created, so i had to get the recipe! of course she doesn’t quite have the recipe written down so, i came up with my own measurements and directions. of course you can tweak it to your taste buds. 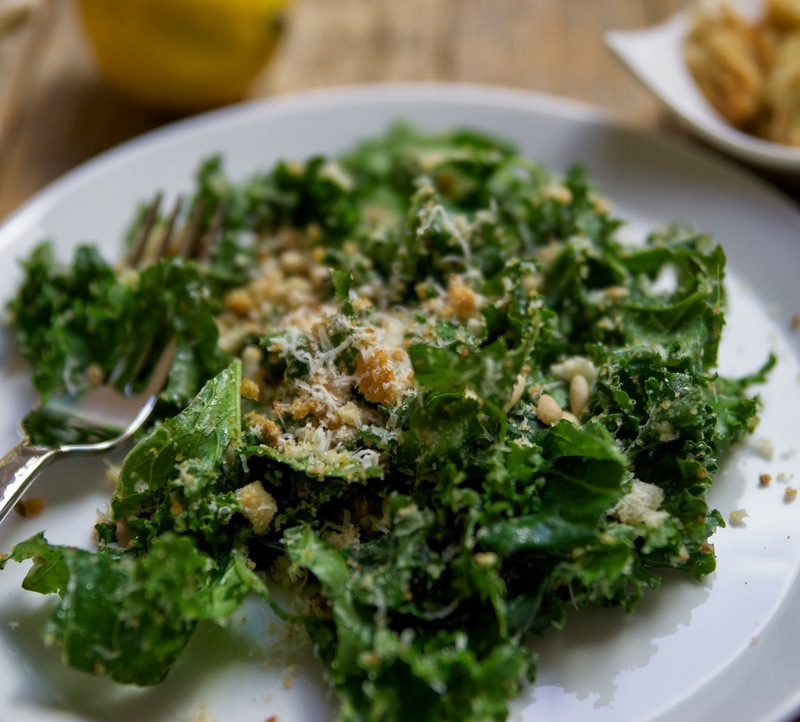 it is a kale salad that has hints of a caesar salad minus the heavy dressing. 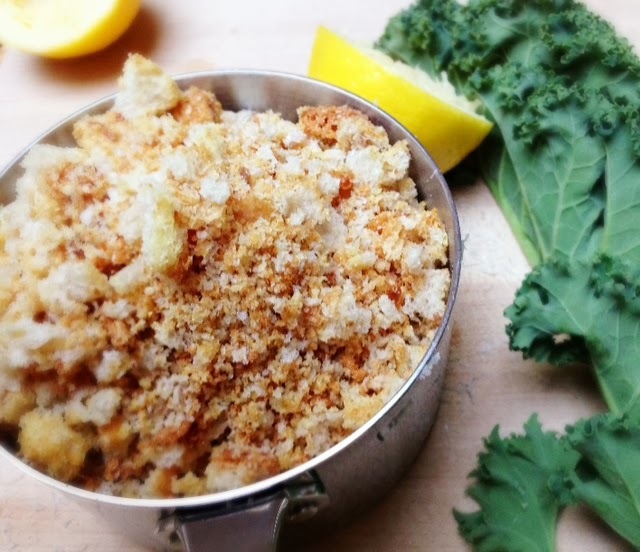 i’m so in love with kale and can’t get enough dishes with the vegetable. my poor family is so nice to go along with my food obsessions! well, maybe they act supportive to me and in their free time they are secretly devouring unhealthy food! :o) anywhoo, here is the recipe that i came up with, i’ll have to make it for monica and see if it measures up to her salad! the great thing about this salad is that it holds up days later and actually soaks in the flavors more. the kale seems to do well despite it’s wilted leaves. strip the kale off the stalks and rip up into bite size pieces. i had heard on America’s Test Kitchen, that you should massage the kale. so i did just that, it appears to soften the kale leaves so that they aren’t so tough. 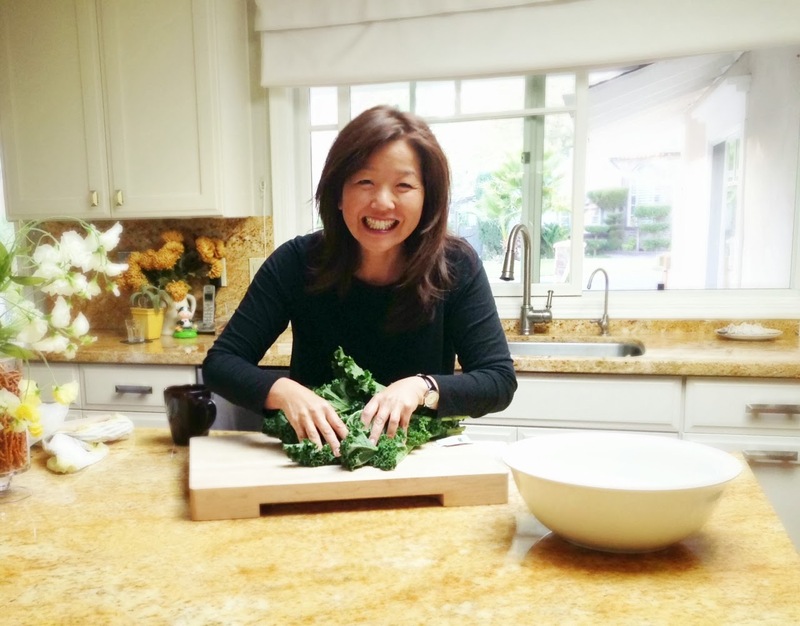 here i am massaging the kale…silly me! 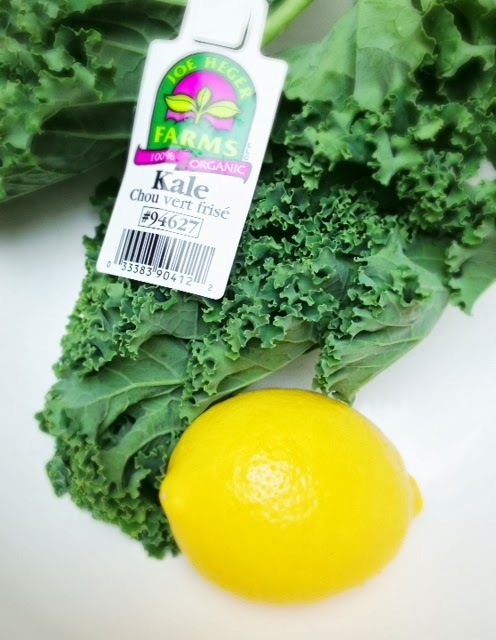 here is the kale i use. there are few different kinds. use the one that you prefer. 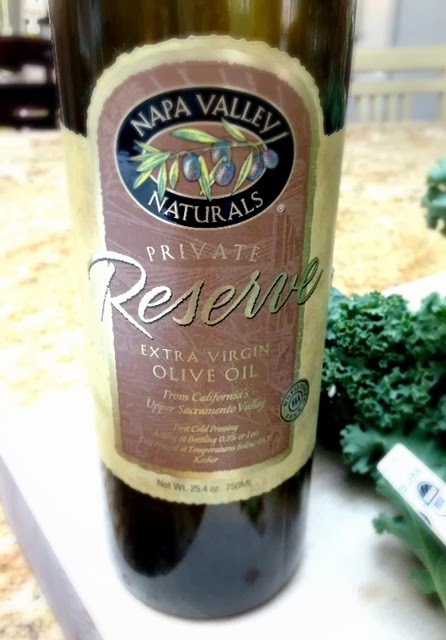 any kind of olive oil will do, but i find that on a fresh salad it might be nice to use a good olive oil so that dressing has a yummy flavor! 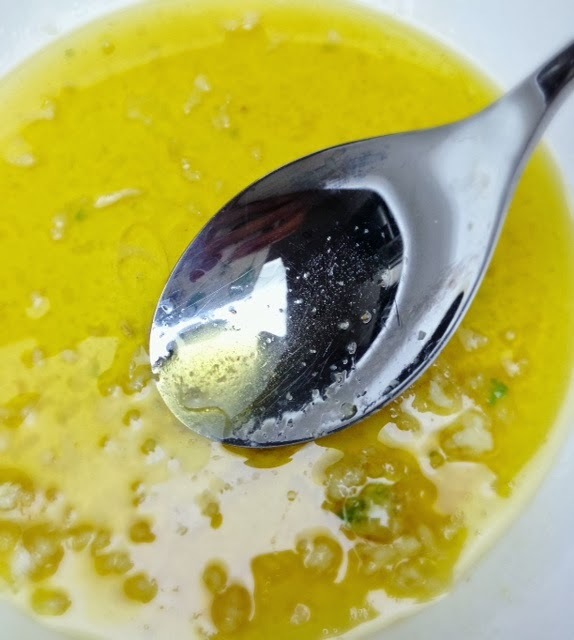 mix the ingredients together for the dressing. yum…. next, crush the croutons. i put mine in a plastic bag and use my rolling pin to crush them. 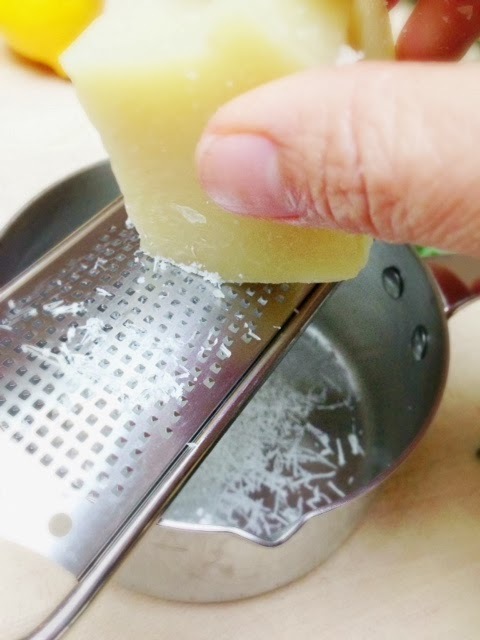 mix the croutons, parmesan cheese, and pine nuts together in bowl. then mix together the kale and dressing and toss. next, add the crouton mixture on top and you’re done! salt and pepper to taste. 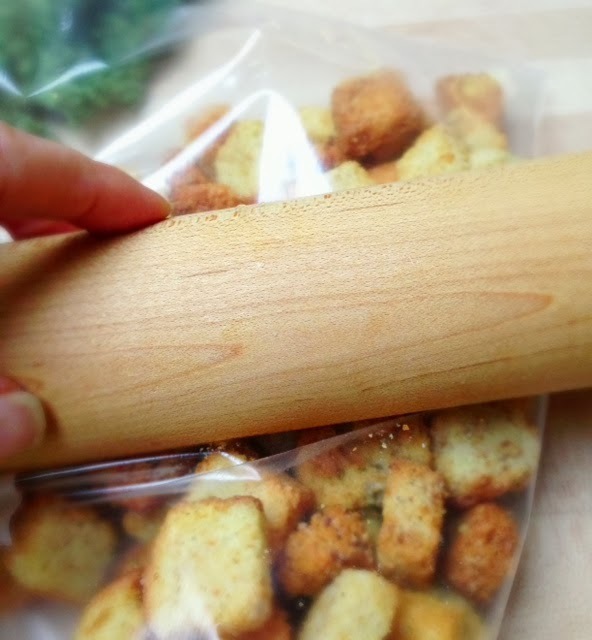 depending on your croutons, you may not have to add any salt. my first batch was too salty since added more salt then i needed too!